Battle of the Piney Woods | Out of the Box! IT’S THE BATTLE OF THE PINEY WOODS TIME! 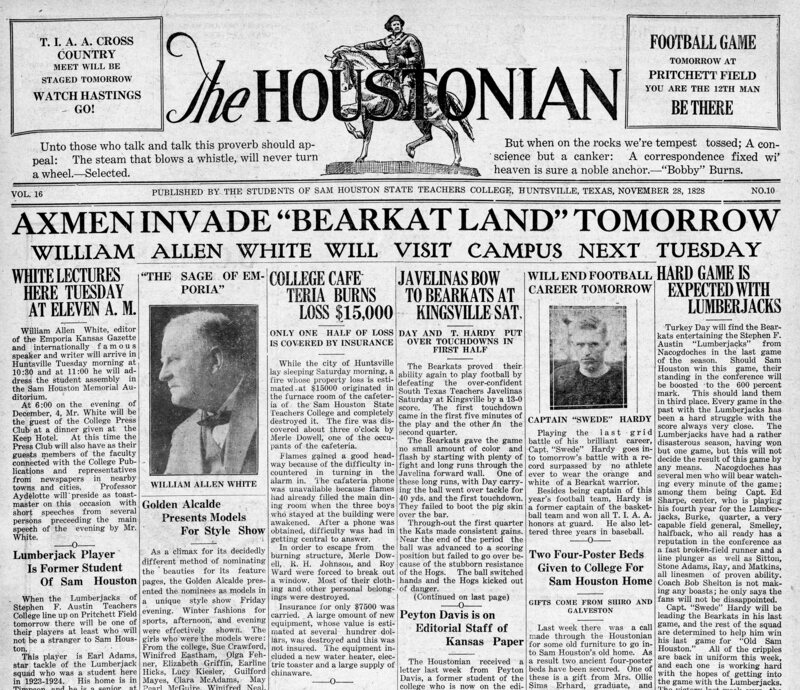 Since 1923 the BearKats have been pinned against the SFA Lumberjacks in a rivalry that has lasted for 90 years. The Battle of the Piney Woods rivalry collage above was complied from various sources that are in the SHSU University Archives. Click on the image to see it larger. The current win-lose statistics for the battle stands at BearKats with the edge at 52-35-2. The Bearkats have won the last 4 years since 2010 when the Battle has been held at the NRG Stadium in Houston. To see more about the Battle of the Piney Woods visit the University Archives in the Newton Gresham Library, room 400, 8-5, Monday-Friday. 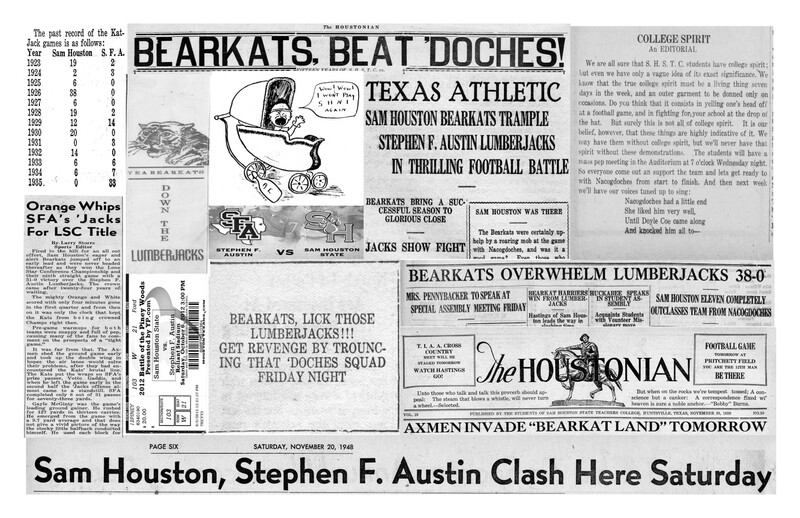 This headline from The Houstonian, November 28, 1928, announces the arrival of our rivals the Stephen F. Austin Lumbarjacks. The BearKats beat the Axmen 19-2 in what was described in the next issue of The Houstonian as the most brilliant game of the season. To see the entire issue of this, Houstonian, come visit the SHSU University Archives in room 400 of the Newton Gresham Library.